With the time change quickly approaching, it is important to keep our family safe at during our outdoor adventures at night. Life+Gear has a full line of safety products including GLOW sticks, flashlights, tactical flashlights, lanterns, spotlights and night lights. These are not just products that you will use to keep your children, pets and family safe on Halloween but year round. Life+Gear is so innovative in that each product can be used every day but it also has built in safety features that are very important to have in emergency situations too. 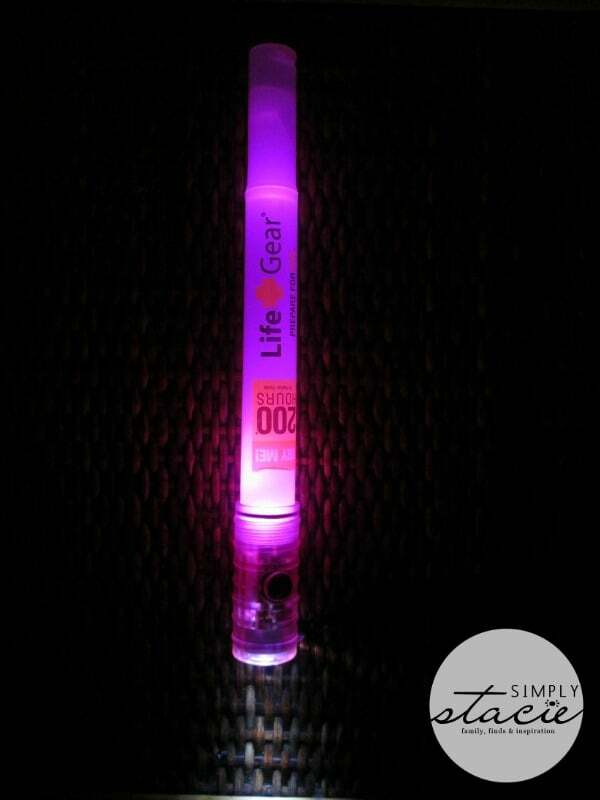 We have used the Life+Gear GLOW Sticks ($7.99) for several years in a wide variety of situations. Not just an essential for trick-or-treating, we always make sure to take 2 or 3 with us on our camping trips, hiking excursions, vacation, when walking the dog at night and on off-road bike trips. My husband keeps one in his toolbox at work, one in each of our vehicles, one in our first aid backpack and several in our hurricane preparedness box. With a whopping 10,000 LED hours of product life, we are so impressed with how functional and long lasting our GLOW Sticks have been and love the LED light which just keeps going and going. In fact, I just tested the one that we used LAST year at Halloween and it is still going strong with the same batteries! This multi-function tool features a color glow stick in a variety of colors to choose from such as Glow red, Glow Sky, Glow Orange and more, a color flasher, a bright white flashlight and a whistle. I appreciate that it is non-toxic so there are no harmful chemicals to worry about inside the product and kids are prevented access to the button cell battery. Therefore, I can feel safe allowing my children to use the GLOW Sticks too. I also like that it has an auto-off feature so if we forget to turn it off it will automatically shut off in one hour to preserve the battery. My husband and I recently had the opportunity to test out the Life+Gear GLOW LED Flashlight ($11.99) which can run for 200 hours in the flasher mode! It comes complete with batteries so it is ready to work and it floats and is waterproof so it is the perfect gift idea for boaters, fisherman etc. (my brother-in-law and sister will love this on their boating trips). It is so easy to operate and has five light modes including a flashlight mode, flashlight plus Glow Red, Glow Red and Red Flasher! It is very bright and due to the color options, it would be excellent in an emergency situation to get attention. My husband raves about this product to all of his friends and guy pals because he thinks it is a simple concept with extraordinary uses! Life+Gear GLOW LED products are lightweight, easy to use, attractively priced and have exceptional performance. This is one product line that has actually exceeded our expectations and we highly recommend it in every household. You can find Life+Gear products at over 10,000 retail locations nationwide including Target and Walmart or you can purchase online. You are invited to visit Life+Gear to browse the entire selection of LED safety gear products and purchase your favorites. How would you use your Life+Gear LED glow stick or flashlight? Life+Gear is dedicated to working hands-on at every level to develop and promote innovative everyday products engineered with life saving capabilities. Life+Gear invents, manufactures, and markets every-day-use products that also have life saving potential. This unique approach has resulted in a broad appeal for the product line in virtually all classes of retail trade. I would put these in our emergency kit we are trying to get together. I’d use the GLOW Flashlight for an array of different things. A lightweight flashlight is perfect for the car or to wear around your neck for continual usage. I like the fire safety night light.It would be handy to have. I would put these products in my car. Never know when you are going to need them. 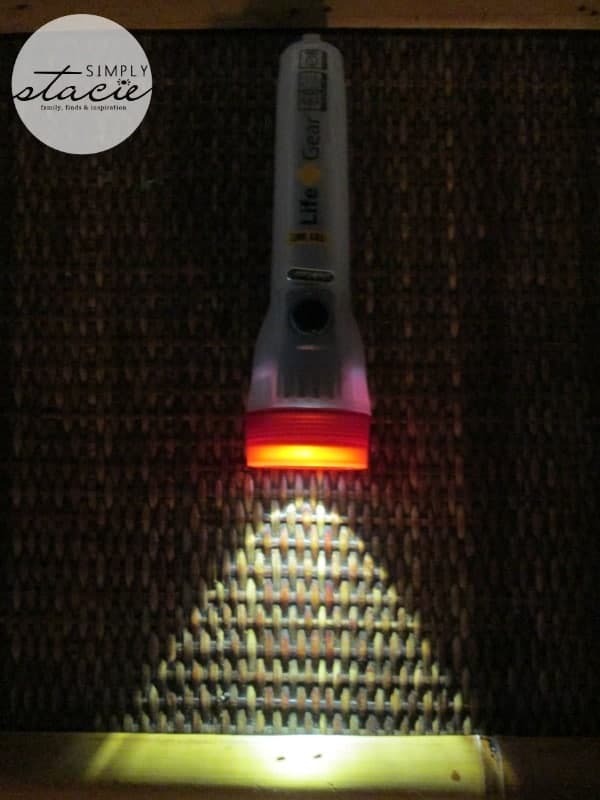 I like the fire safety night light – these products would be good in the car and at home. Over the weekend we lost power, wind storm, and its nice to have an emergency kit for if it goes really bad. So many great products I like the fire safety night light. These would go in my car since I work at night! I like the Glow Lantern-15. It would be great for when power goes out or when we have to go outside to check on something. i would love to have the fire safety night light! The fire safety night light would be great at our house – family of 7! Thanks for the opportunity! 10.5 million people used their products in one year. I could use one of their flashlights – the min max flashlight looks good to me. I like the fire safety night light. i would love to win this for our late night walks. the highland series is nice. I absolutely love the crazy colors of the Glo Sticks! I love that life gear takes everyday products and uses them to save lives. I liked the Highland Series LED Tactical Flashlight . I like the Glow Lantern 15!